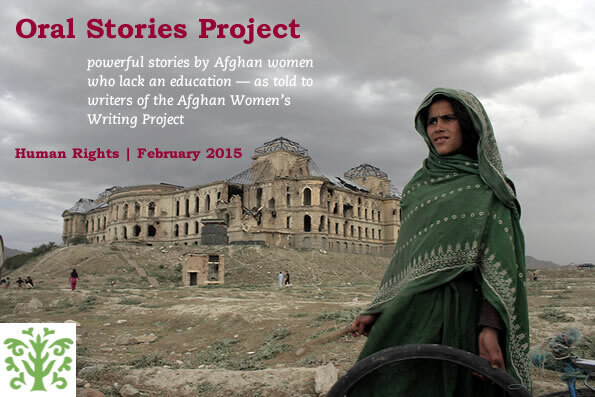 Bibi Gul is an illiterate, unmarried woman living with her family in Abdul Khil in Jalalabad. Jalalabad– I have heard there is an office called the Human Rights Commission, but that is all I know about it. There is no equality in Afghanistan between the rights of men and the rights of women. I think most people do not know about human rights. In our village for example, a man killed another man, and for compensation to the dead man’s family they gave the family two of the killer’s sisters. We call this compensation baad. So in this case, it is not the murderer who was punished for the crime, but it was his two sisters who were deprived of their rights. More rights are given to men. Men can go to school even on a bicycle, but the security situation for women is really bad here. If a woman goes to school, people will harass her. I wish that literacy courses would be established so that we would know our national and Islamic rights. We want to have the same rights of education, working, health, and other things that men have. Dear Tasala, This is very good reporting of Bibi Gul’s story. Thanks to you, people from around the world can now hear her voice and understand her life. Traditions like baad can be replaced with laws based on human rights, but Bibi Gul is correct that this needs to happen via education. I hope very much that the situation in Afghanistan allows that soon. I hope that the fighting stops and women are able to go to school again. Keep writing! Keep hope alive!